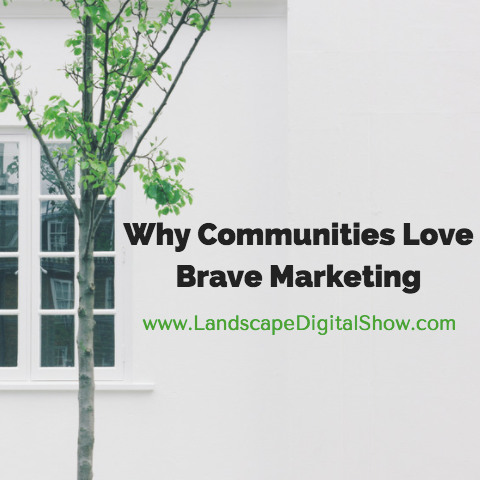 Episode 83 of Landscape Digital Show reveals why communities love brave marketing that takes the risk of standing out to be known for something bigger. This is the time of year when you should be wrapping up the planning of your editorial calendar for the coming year. How exactly is that happen? Do you essentially use same monthly categories as this year and freshen up the content a bit? That’s what I’ve observed at several companies with whom I’ve consulted. 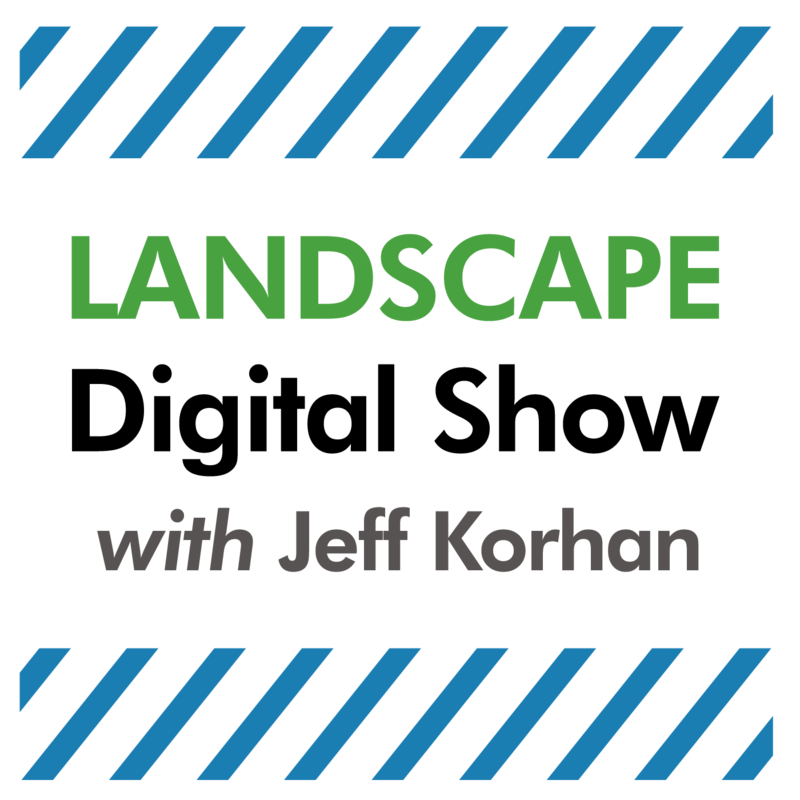 January is focused on trends and new services, February is for landscape design, March is when you make special offers to load up the sales pipeline, and so on. That’s alright if you are happy with business as usual, but if you are planning to grow you have to your content has to be best in class because that is the only way it will inspire people to take action. Let be clear about one thing. The most powerful marketing you can have is word of mouth. That’s how it has always been. Long before anyone talked about going viral with digital media there was word of mouth. Word of mouth should be a top marketing priority. As the business owner or leader of its marketing, your job is giving people a reason to talk up your company. The trick is to create media that gets your business inserted into the conversations that are happening right now. In other words, your job is to be newsworthy. The question is simple: If you were one of your customers would you publish your content? That is, would you share it with a spouse, friend or colleague? If not then you need to take bigger risks. There is a hotbed of young innovators and risk takers making their presence known on YouTube, and they are being handsomely rewarded for it. This week I read about a 6-year-old boy whose YouTube channel netted 11 million US dollars during a 12 month period. What does he do? He shows everyone how he uses toys – better known as “unboxing.” This is entertaining for other kids and that obviously attracts sponsors that want him to unbox their toy. The truth is we tend to notice and talk about risk takers because we secretly admire them and want to be like them, at least a little. Or we may dislike or fear what they do or represent. Either way, they get our attention. If you were free to publish a message on a billboard for your entire community to see, what would it say? You probably have to think about that for a while. That’s one of the problems with marketing. People want to be known but they are not always sure what they want to be known for because that requires taking a stand. This is how marketing gets watered down to a lifeless message that hopes to appeal to the widest market segment possible, such as, and we’ve all heard this: Anyone that has money to spend. Ask yourself if you would take that approach if you were marketing to attract a spouse or business partner. No way. You would speak to the ideal customer or person that you have in mind, and that should be written down in detail if you truly want to get it right. Have the intention to be brave enough to truly stand out this coming year. Even if you back off of that ideal you’ll still push your marketing ahead of a few of your competitors. According to marketing icon Seth Godin, you have to learn to see the world for what it is. You can’t expect a little effort to attract a lot of business, so give up your dreams of going viral and get to work. Learn to tell a story that’s true, one that resonates with other people and that helps them to make good decisions. That’s what people are scouring the Internet for and when they find it they’ll know it instantly. To make that happen I suggest mining three areas of your business for ideas, its culture, collaboration, and community. What is it about your culture that will get people interested in your business? How does your business collaboratively work with customers to help them make life-changing discoveries? What can your business do in the community that is truly meaningful, that solves relevant problems that are important to people right now? Here is one idea for how this can work that you can adapt to your business. Make a list of what people are talking about in the community. Then discuss with your team how your company can help. For example, what if your crews were trained to pick up debris in the neighborhoods where they work and those random acts were caught on camera and shared on your social media? That’s notable because landscaping companies are expected to beautify the environment, and there isn’t a community out there that couldn’t use a little extra tidying. This is the kind of positive, can-do behavior that the mainstream media wants to share with their audiences. Recruit friends to share those photos from your Facebook page that document your culture of caring about the community. 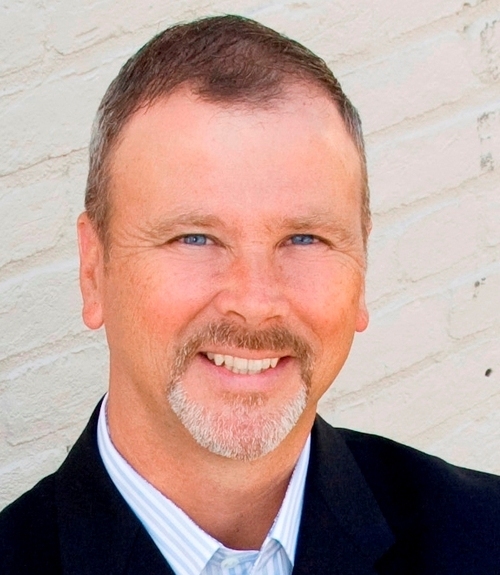 With a little coaching to craft a compelling story, you will have something worthy of putting advertising dollars behind to really get it moving, possible earning the attention of the mainstream media. Instead of just one annual “giving back” project that is forgotten days later, be known for something remarkable that will remind people about your company culture. This is very much like Nordstrom being known for accepting returns of products that have been seriously used, or that Nordstrom has never sold. Going viral lasts a short period of time but brave marketing can build word of mouth that lasts forever. Let’s be honest, bravery could result in an embarrassing failure, but not really because most marketing barely gets noticed anyway. Isn’t the extra effort worth the risk? Give them some that’s worth talking about.